Maximum travel and everyday comfort. 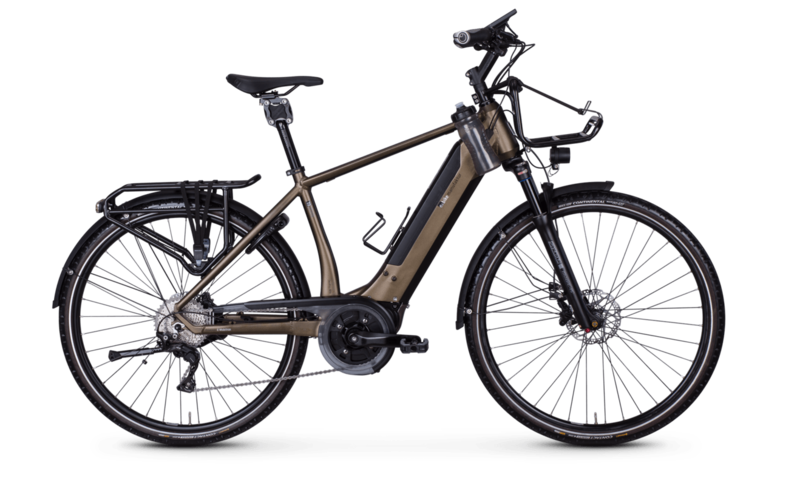 Our e-bike 19ZEHN, which is exclusively available as a men's version, has an electrifying combination of top components, a fully integrated frame concept designed for continuous use, and an exceptionally aesthetic design. The e-bikes in the Expedition series offer maximum travel and everyday comfort. With the powerful Continental 48 Volt eBike system, a battery with 600 Wh and the sporty basic concept based on the tried and tested XT component group, the 19ZEHN is the guarantee for a long-term e-bike friendship. For an increased protection against theft, you can buy this e-bike at an additional charge of 149,- euros and get it with Connect – the clever GPS-based anti-theft device which allows you to know exactly where your e-bike is at all times. If you want to use Connect, this should be taken into consideration at the time of purchase. For security reasons, the Connect module is permanently mounted to the e-bike, so it cannot be installed at a later time. Everything you need to know about Connect can be found here. Lightweight and compact displays combine perfect legibility with ergonomic and intuitive operation. In addition to the display for the support level or charge status of the battery, the display offers numerous functions of a bicycle computer as well as a USB and Bluetooth interface. The clever automatic lighting mode is controlled by an integrated light sensor. The innovative dropout of our e-bikes offers an integrated mounting for a rear stand. In this way, the support can be installed quickly and easily. In addition, the multi-function drop-out end is equipped with an opening for the gate belt. This means it can be changed in no time at all. Thanks to its tidy appearance, the drop-out is a perfect match for the frame design.